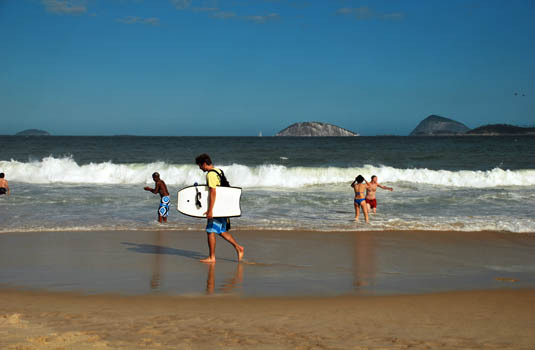 There are several beaches in Rio de Janeiro that are popular with surfers. Copacabana and Arpoador beaches are the closest to downtown Rio. The waves can range from as small as 3 feet to as high as 10 feet (1 to 3 meters). Barra da Tijuca is another popular area for surfing. The most popular surfing beach there, Prainha, runs about _ mile (1km) with waves averaging 6 feet. A few more miles down from Barra is Pontal beach with waves towering as high as 10 feet (3 meters). Two other beaches that are worth a visit for those who like to surf are Joatinga (a small and little known beach located in the way of the South Zone to the Barra, some say is the most beautiful beach in town) and Grumari after the Prainha. For those surfing fanatics there are tours that can be booked solely for surfing. 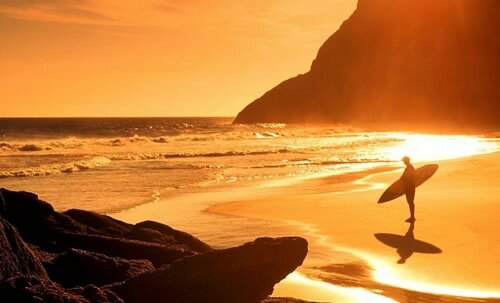 The ‘Surf and Stay in Rio’ is a combination surf camp and hostel 2 minutes away from Macumba. It was opened by two professional surfers Katrina and Mauro. They offer packages that include group and private surfing lessons as well as guided tours of the best surfing beaches and surf board rentals. 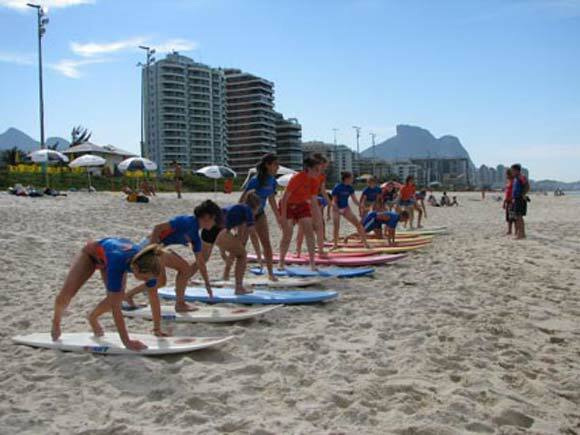 The instructors are mobile which enables them to gather up their students and drive to whatever beach has the best surf on any given day.Surfing has become a way of life around Rio. There is even a surfing bus that transports surfers with their boards from southern Rio to the beaches at Barra. 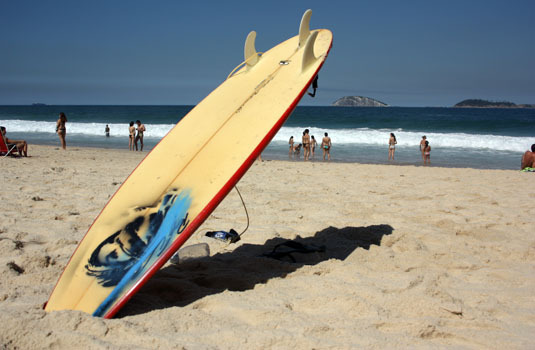 Boards can be rented at most of the surfing schools as well as the Galeria River at Francisco Otaviano Street in Arpoador.